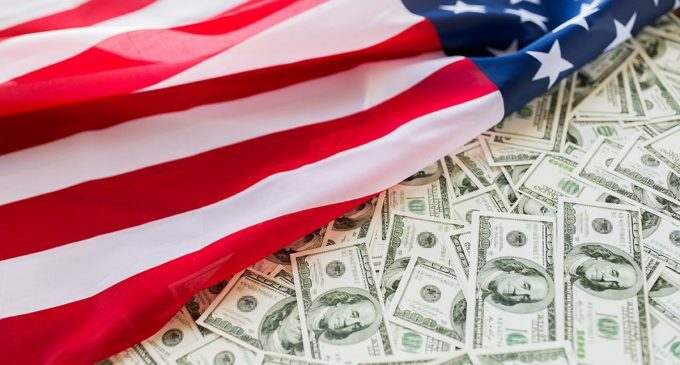 According to the US Treasury, the state budget deficit in February amounted to 234 billion US dollars. This is almost 9% more than last month (then, we recall, the deficit was $ 215 billion). This indicator is the largest in the history of the United States. Prior to this, the maximum negative balance was observed in 2012 and amounted to 231.7 billion US dollars. Last month, the US budget received $ 167.2 billion in revenue. This is 7.5% more than the same indicator for February last year (then the budget revenues totaled 155.6 billion US dollars). The tax revenue increased by 5%, customs revenue- by 93%, this was due to the growth of import tariffs. Monthly expenses have reached $ 401.2 billion. Last year, that figure was 8% less and was equal to $ 370.8 billion. The main increase in expenses was observed in agriculture and the transport industry – 24% and 32%, respectively. In the first 5 months of the 2019 fiscal year, the negative budget balance has increased by almost 40% to the value of 544.2 billion US dollars. Last year, that figure was equal to $ 310.2 billion. Among the reasons for the growing deficit, there is a shift in many revenues and payments. Due to the calendar factor, the deficit has increased by 25%. Since the beginning of 2019, the number of budget revenues has decreased by 0.6% – to 1.28 trillion US dollars. At the same time, expenses have risen by 8.7% to $ 1.8 trillion. According to the forecasts of the budget management, in this fiscal year the budget deficit will be about 897 billion US dollars, which is equal to 4.2% of GDP. The US budget deficit for 2018 fiscal year has grown by 17% to $ 779 billion, or 3.9% of GDP. In 2017 fiscal year, the deficit was 3.5% of GDP. The largest budget deficit was recorded in 2009 – 1.41 trillion US dollars (about 10% of GDP). The last surplus in the US history was in 2001.